Good Morning Papua New Guinea. It is my privilege to speak to you, to your families, and our friends from our region today, greetings on the 41st anniversary of our Independence. Today is a time for everyone that is a citizen of our nation and friends of our nation, to take pride our country and where we are going today and in the years ahead. Our country is changing, and it is changing fast. In the time of a single generation, we are changing from traditional communities to being an emerging economy in the global community. I think that we have achieved more since our Independence than we could have imagined – and we have only just begun that journey. At home, we now have free education, we are delivering universal healthcare, we are improving law and order, and we are rolling out new infrastructure right around our nation. We are also transferring power and decision making from Waigani to the provinces and the districts, and even to the Local Level Governments. On free education, we can be very proud. We are making school education a true right for our children around the country. This also means training many more teachers, and building new schools and new class rooms. This is a program that is very costly, but it is one we are delivering in the shortest possible timeframe. But there is an even greater aspect to free education that we are focusing on as a government. As more and more of our children and young people gain a basic education and more undertake higher education and trade training – we are growing our agricultural and fisheries sectors. As children leave school with an education, they can return to their villages and with greater skills and knowledge that they can use on the land or in the water. With free education, we are also creating the opportunity for our children to go on to further studies in new areas such as technology and communications. Our government is focussing on growing our economy, and expanding national participation in that growth. This means that many more school-leavers, and higher education graduates, will gain meaningful employment. Free education is just the beginning as our children go forward into the future. We are raising living standards, and broadening our economy for the benefit of as many Papua New Guineans as possible. We are doing what we can to help all of our citizens, young and old, to have greater opportunity to better their lives. We are helping our people to enter the small business sector, or grow existing small and medium sized businesses. Our program of affordable finance, and access to training and professional development are aimed at growing businesses that are owned and operated by our national entrepreneurs. We will be introducing new programs to make a positive impact in emerging areas. Our priorities include the development of our tremendous tourism potential, especially in regional communities. We will be assisting business men and women achieve success in new and challenging areas such as communications, and technology, as well as our expanding construction and resource development sectors. Our government is also assisting our all-important rural producers, our farmers, to improve the quality of our crops, through better skills, information and funding. We are also encouraging our farmers to diversify into new crops to meet the growing food demands of the Asia. An important part of this program is rebuilding and expanding our key infrastructures such as roads, highways, and ports. This is a program for which our Government has given more funding than any of our predecessors. While we are assisting with employment and business in urban areas, we place a priority on growing opportunities for our rural majority. Particularly in farming and fishing, creating expanding markets both home and overseas, is creating jobs. Recognising our emerging presence in the global community of nations is also an important change for which we should be proud. Today, more and more people know about Papua New Guinea around the world. People who never knew of us are seeing more of the country. Those who knew of our country when we were facing troubles in the 1980’s and 1990’s are hearing about the emerging Papua New Guinea. Investors are learning that this is a safe country in which to invest. Even against global economic challenges and the downturn in commodity prices – when other economies are facing recession, but in Papua New Guinea we have growth. In the coming years, the global spotlight will be on Papua New Guinea as we host major sporting events and economic forums. We will welcome the world-class competition of the FIFA Women’s Under 20 Soccer World Cup in less than two months. We can welcome our guests and showcase our country on television around the world. Next year we will welcome matches in the rugby league world cup to Papua New Guinea. This is our national sport, and we will have the chance again to show our hospitality and our diverse culture to the rugby league world. Through the entire year of 2018, our country will host APEC. This is not just one meeting, but up to 200 meetings that will take place around the country, and will conclude with the Leaders Summit in November 2018. This will be a proud time for Papua New Guinea. 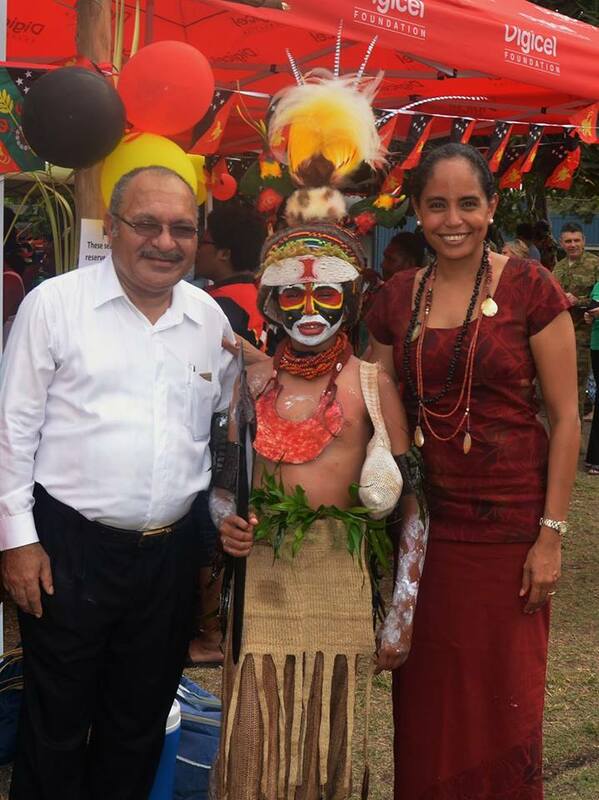 Thousands of people from APEC’s other 20 countries will visit Papua New Guinea – and meet the real people of our nation. This is not just in Port Moresby, but in locations from the islands to the highlands. Hosting APEC will have a very positive impact on key sectors including our marine resources, agriculture, mining, and tourism. We will have the opportunity to guide growth in these areas, and to better access technical information to help our small businesses. When we host the summit at the end of the APEC year in 2018, we will welcome the Presidents and Prime Ministers of countries such as the United States, China, Japan, Russia, and Korea. We will also welcome our Pacific Island leaders as special guests during the leaders’ summit. This will be a once in a long time that we will have all of these leaders visit our country as a group. The global spotlight will be on our country, on our culture and our emerging position in the world. Hosting APEC will be a proud achievement for our country, and we will show the world the potential of our great nation and invite more people to visit. My fellow citizens, on this great day of celebration – we have much to be proud of in our country. As your Prime Minister, I am proud of the steps we have taken, to secure a strong and healthy nation. A Happy and Safe Independence Day to you, my fellow citizens of Papua New Guinea.